To us every customer is important, it doesn't matter if you are just popping in for some advice or if you are purchasing a new PC we give the same level of attention to everyone. Our ethos is simple, we always reccommend the best possible repair for the situation and if we don't think it's worth repairing then we will tell you, we will never reccommend a repair that we don't believe will do the best possible job. New computers, laptops and tablets are no exception. We will discuss with you your current requirements and your potential future requirements and then advise you as to which computer, laptop or tablet is best for you. We will never attempt to sell you something that you don't need. We are not interested in selling you something and then never seeing you again. We want to be with you on every step of your journey in computing, this is why we give a free 3 year warranty on all of our PC's and why we give you an annual health check, free, for as long as you own your Nortech PC, Laptop or Tablet, and this is why we give all our customers free 30 days remote support with all new PC's, Laptops and Tablets. We are here to help you not just when you purchase but whenever you need it. We have many years of experience in the field of computing, we manage everything from Tablets to Dedicated Servers, we have performed work for individuals, businesses, schools, government departments and charities including The Department for Work and Pensions (Datacentre), W H Smith (Datacentre), Clevedon School and many, many more. Big businesses have traditionally had their own IT departments but for many smaller businesses this is not possible, but we can fill the gap for you. Nortech Computers has supported many local businesses over the last 17 years and we have found our services increasingly in demand as more people are starting businesses from home and finding it a struggle to deal with their IT issues. We can support you on a pay per incident basis or on a contract basis, the choise is yours. Just give us a call or drop in to see us and we will be happy to discuss your needs. 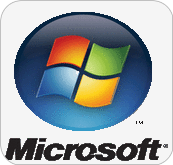 We are also Microsoft OEM Partners, Embedded System Partners, Registered Refurbishers and Small Business Server Partners. 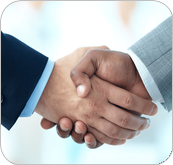 These specific partnerships allow us to work in various fields and assure you that we are trained and competent to work on your systems. 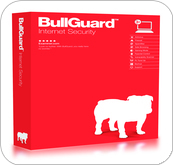 Bullguard Internet Security Partners We have partnered with Bullguard now for over 7 years because they offer high quality products that serve our customers needs and because they continually win awards for the quality of their prodicts. We use Bullguard for all of our security needs as we would never reccommend a security product to our customers that we do not fully believe in outselves. 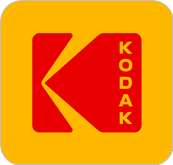 Kodak Print Kiosk Partners The name Kodak is synonomyous with excellent quality pictures, this is why we partnered with them to bring you a fantastic digital print lab that delivers your prints in seconds.